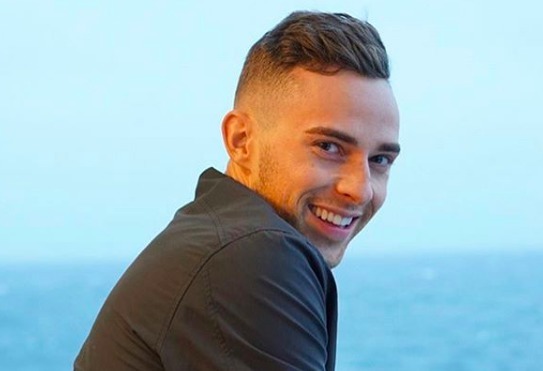 Adam Rippon has been soaking up the sun as the celebrity ambassador for Celebrity Cruiseas’ second annual Pride Party at Sea extravaganza. The Dancing With The Stars champion and his hot Finnish boyfriend, Jussi-Pekka Kajaala, recently shared a photo of themselves getting cozy at sea. Fellow figure skater Johnny Weir also made an appearance at the cruise company’s Pride party. Pride is timeless however tonight is a very special night! So proud to be an ambassador for @CelebrityCruises’ Pride Party at Sea! Celebrity ships are celebrating around the world tonight – are you celebrating with them? Share your photos using #PridePartyAtSea and #GetOnBoard! Sending kisses from on shore! And it looks like everyone on board had a great time. Just a quick pose with the amazing people who helped make #PridePartyAtSea happen ???? Despite finding him annoying here and there Adam remains that perfect semi femme fantasy for me. Semi fem? How about full-on fem, power bottom. He is the most fabulous fem boy on the planet right now. But I never see any pics of the BF. I wonder if he’s really as cute as they claim. Keep it up Adam. We love you. Tacky, tacky headline. Adam was on a cruise with his bf, not “caught cruising in public”. You implied he was arrested for cottaging. Exactly! The headline makes them sound like a couple of sluts looking for a third. Thank you for introducing me to a new slang term! “Cottaging.” You Brits are always so effortlessly adorable. Par for the course with this site. I need to go on one of those cruises! Apparently you did, at least enough to bother making a somewhat listlessly catty comment. The DESPERATION from Rippon can be felt from this online forum. Blech. Queerty – You disrespected Rippon et.al with that headline. You should take a look at your own rules for commenting. This display of rudeness is not cool. Oh come on! Have you never heard of puns people??? As soon as I read the headline, I knew what the article would be about. Disrespecting Rippon? Give it a rest! It’s a fun (or should that be pun) headline. Ok, I KNOW this is going to come off as bitchy but…. I still get a little annoyed at Johnny Weir being a spokesperson anywhere for lgbtq pride. Weir stayed in the closet during his entire career. Then even afterwards when he did a reality show he remained cagy about it, THEN finally comes out in a book. And when asked, pulled that cop out line of “Oh, well everybody already knew” Really? Well if they did, then it wouldn’t have hurt you to come out would it? Then after that he refuses to say anything bad about Putin before Sochi and Russia when they pass that anti-gay laws. So when the skating career is over, suddenly he now is out there talking about Pride. I know there are much worse things out there to get peeved about but….